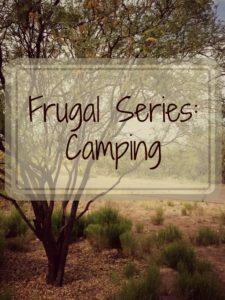 This week, I’m going to do a series on camping on a budget. 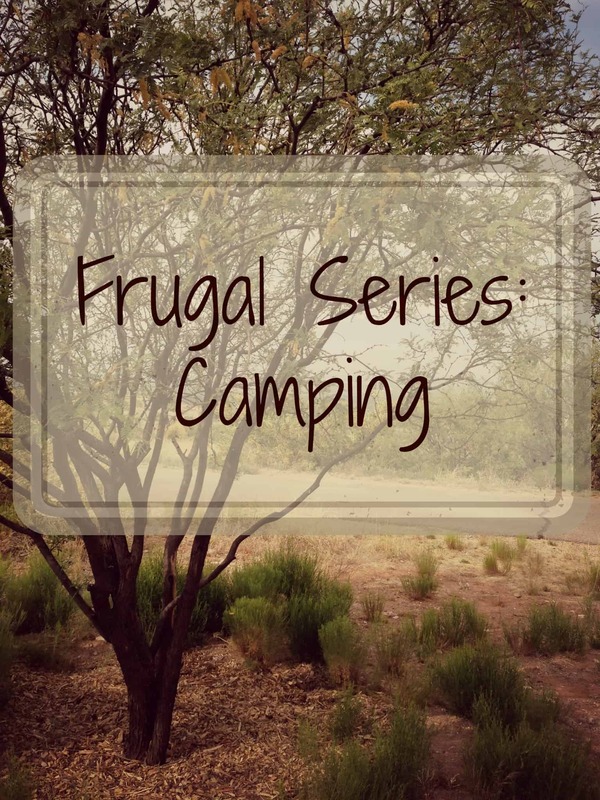 Welcome to Frugal Series: Camping! I hope to make the Frugal Series a regular thing, so let me know if there’s anything you’re interested in seeing: a series about frugal travel, work attire, beauty, home improvement, etc. Anything you have a question about, let me know and I’ll try to cover it! We pack anything nonperishable in plastic bins, which most young people have from moving. We pack our clothes and any toiletries in backpacks, which most people still have from college or even high school. Yes, I still had a high school backpack lying around – Jansports really are indestructible! Besides the tent, which we got for free from my Dad, the only other big necessities are a stove, which you may not even need, camp chairs (you can get cheap camp chairs for $10, so it’s not really a splurge), and food. By the way: camp chairs are a necessity. As someone who enjoys camping, not having your own place to sit (the sticky, hot, sometimes crusted in unidentifiable substances picnic table does not count) is hellish when all you’ve been doing all morning is hiking. You will want a camp chair to plop down in and relax, trust me! If you are planning on driving around the country allot, a car that is very fuel efficient is a must (for example a Fiat 500L) this will save you money on each of your journeys that you make. 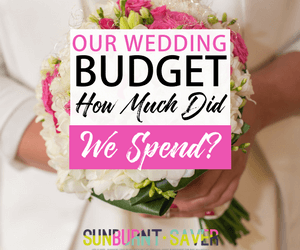 Budget, quality insurance is also a good way to save money on the trip too, therefore I would suggest that you take a look at One Sure Insurance as they offer a range of options and prices to suit your trip! $70 for food, including drinks (beer and wine). Some stuff was on sale as buy one get one free, and we ended up getting all the materials for s’mores for only $5 thanks to that deal! Our camping trip came to a total of $140 for a 3 day, 2 night stay. When you add up what it would have cost to stay at a hotel over a long weekend (conservatively $80/night = $160), plus the cost of breakfast/lunch/dinner for those two days (again, conservatively and assuming you didn’t split your meals to save money, $20 per meal x 3 meals a day x 2 days = $120 – and yes, that’s assuming each meal costs $10 for one person), that comes to $280 for a 3 day, 2-night stay. 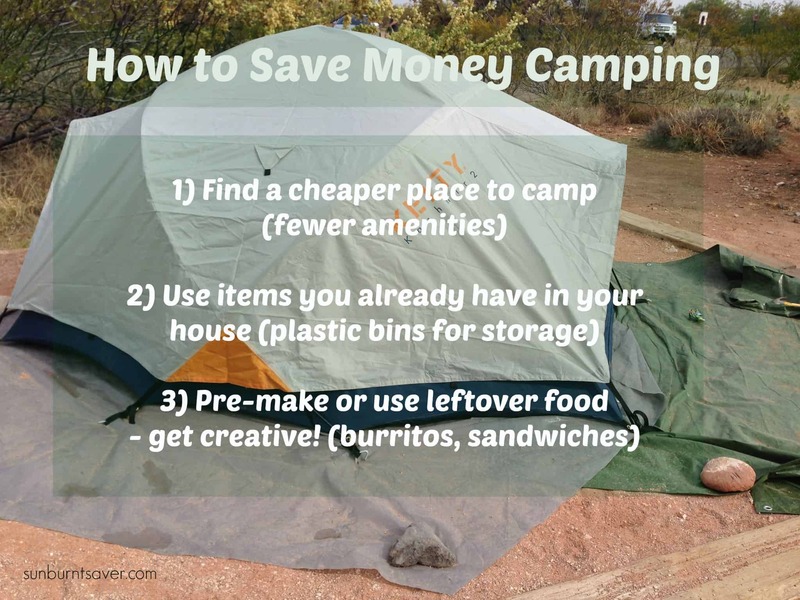 You can round up or down according to how much you eat and how much it costs to rent a hotel, but the end result is the same: camping is way cheap. Just with food alone, it would cost us as much to eat as it did to camp, with meals and drinks included. And really, who can put a price on campfire s’mores? The best part about camping is, after a certain point, you start accumulating camping things (like sleeping bags, a stove, tent, coolers, etc. ), which really reduces the amount of money you have to shell out to camp. 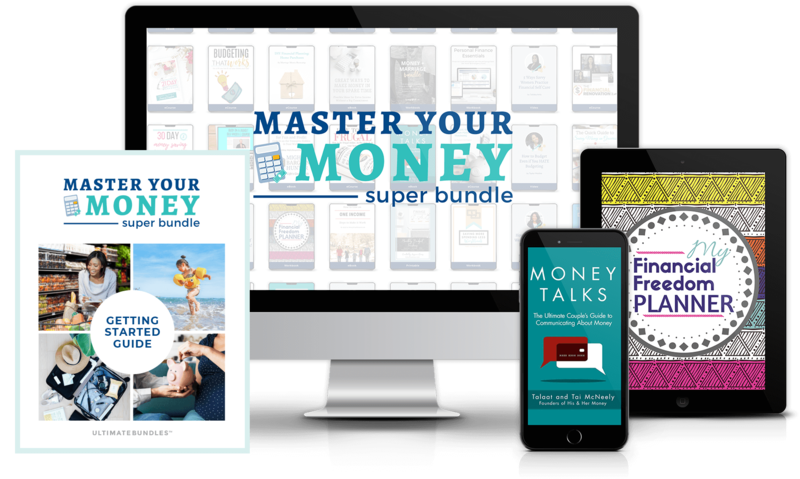 The only things you end up needing to pay for are your space and food. It goes without saying that your food could even be cheaper than ours, if you chose to hunt or fish and cook your food. I recently went on a camping trip and it is amazing how much fun a person can have without spending a ton of money. Yeah, camping has got to be one of the ultimate cheap traveling experiences a person can have. I love camping! I’ve never been camping, but I would really like to try it out. My boyfriend and I want to take a weekend trip to go hiking and explore a really scenic wooded area 2 hours away, and hotels want around $250 a night!! Unfortunately, we don’t have any supplies, and I hate bugs, so I’m not entirely sure I’m suited for it =). Well, the supplies thing might bring you down, but not by a whole lot – if you live near an REI, they rent out camping tents, pads to put your sleeping bags on, etc. I don’t think they rent out sleeping bags (although I could be wrong), but you really can pick up sleeping bags for cheap (and new) at Target. I don’t think I would be okay sleeping on a used sleeping bag, but that’s totally a personal preference (you can wash sleeping bags). SO cheap, once you have some of the camping gear! Especially if you don’t mind roughing it (i.e. no flush toilets). Then your camp fees are even cheaper! We love camping, too! That is an especially kid friendly experience and we always travel with the kids! 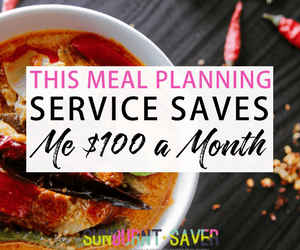 Food, in any type of travel situation, is often a large chunk of the budget. Since we are not foodies at all – we think of food as fuel so we aren’t really picky, restaurants don’t have to be a regular for us. We often stay in apartments which allow us to cook and store food. 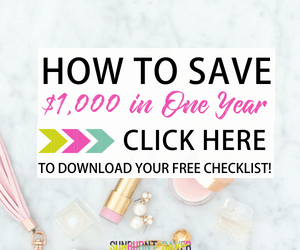 Even if all we do is buy cereal, milk, coffee, and juice, and microwave popcorn we can easily save $100 very quickly by eating breakfast and getting caffeinated before we head out for the day!! Crashing at night with a bedtime snack of popcorn which is both healthy, easy to fix and CHEAP!